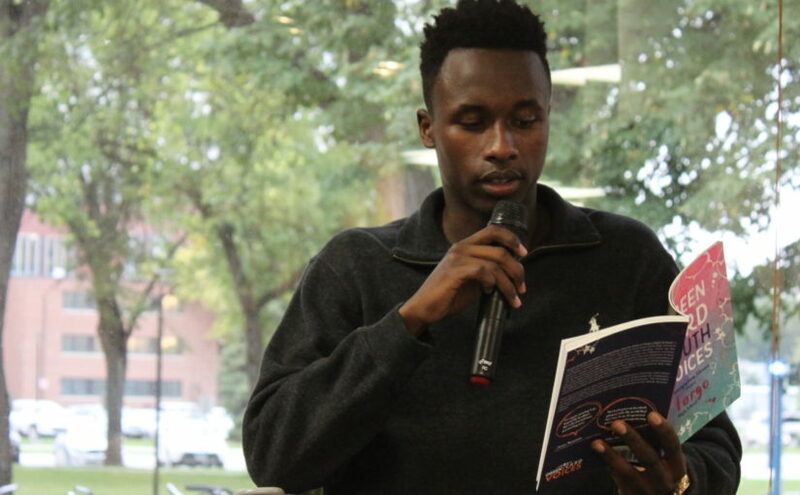 NDSU freshman Muhend Abakar reads from his essay at the ‘Green Card Youth Voices’ on Tuesday, Sept. 19 at NDSU’s main library. Since its foundation in 2013, Green Card Voices (a non-profit organization based in Minneapolis, Minnesota) has been sharing immigration stories of high school students from Minneapolis, St. Paul, Minnesota, and most recently, Fargo. 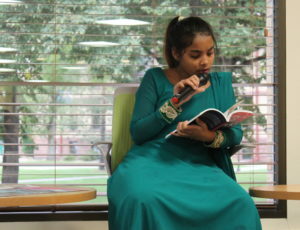 On Tuesday, Sept. 19, three of the students featured in “Green Card Youth Voices: Immigration Stories from a Fargo High School” shared their experiences moving to the United States in a reading at the Weber Reading Room in North Dakota State’s main library. Beginning the reading was Muhend Abakar, a freshman at NDSU majoring in computer science from Nyala, Sudan. At the age of four, Abakar moved to Egypt where he lived until he moved to the United States in 2012. 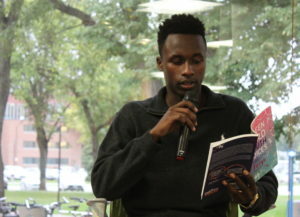 Abakar, reading from his essay, described growing up in Egypt, his surprise at the resources American students had and that Americans played soccer. So far, Abakar’s experience in Fargo has been a pleasant one. After Abakar, Marai Castillo Fonseca, a sophomore at South High School in Fargo, shared the story of her move from San Miguel, Mexico. Castillo Fonseca moved to the area with her mother and step-father. At first, she didn’t believe when her step-father told her they were leaving. Her first worry was that her cat, Meeno, and her dog, Moley, were going to be left in Mexico. Luckily, both accompanied the family to the States. When she first arrived in the U.S., Castillo Fonseca visited PetSmart to prepare for the impending arrival of her four-legged friends. South High School sophomore Roshika Nepal, from Jhapa, Nepal, was born and raised in a refugee camp before moving to the United States, all of which she describes in her essay. Roshika Nepal followed Castillo Fonseca. Like Castillo Fonseca, Nepal is a sophomore at South High School. She was born in Timai camp, a refugee camp in Jhapa, Nepal, where she lived for eight years before she moved to the U.S.
Green Card Voices’ main purpose is to “build bridges and empathy” between residents of a community and recent immigrants. Tea Rozman Clark, executive director and co-founder of Green Card Voices, said at the reading that the project started when she realized “immigrants and refugees should tell their own stories.” Rozman Clark is an immigrant herself, moving from Yugoslavia to Eau Claire, Wisconsin when she was young. The students featured in the Fargo version of the “Green Card Youth Voices” series were all students of Leah Juelke, an English language teacher at South High School. Her class was already working on a project entitled “Journey to America” when they heard about Green Card Voices. In total, 32 of Juelke’s students participated in the book. “I asked students if they were interested in telling their stories,” Juelke said at the reading. 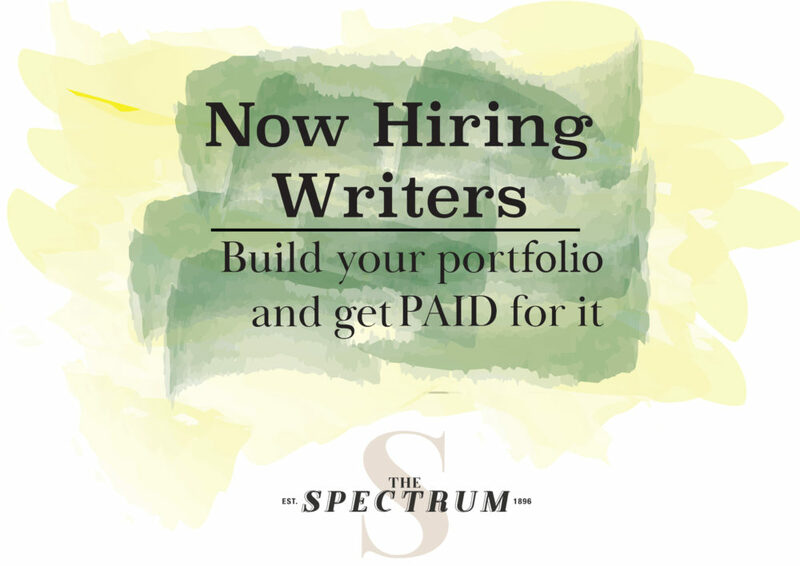 As more students told their friends, the word spread an soon there was a waiting list for students who wanted to participate. 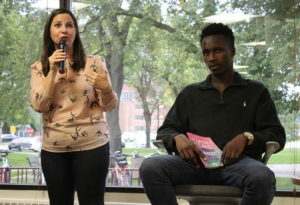 Tea Rozman Clark (left; executive director of Green Card Voices) and Muhend Abakar (right) answer questions about the process of Green Card Voices, culture shock and their experiences in the U.S. from the audience after the reading. “We were supposed to have 30 (students), but we ended up with 32 from 22 different countries,” said Rozman Clark. Green Card Voices plans on building their series to include all 50 states and even wants to grow internationally. Already, plans are in place for “Green Card Youth Voices” in Colorado and Georgia. They also hope to create new series, starting with “Green Card Entrepreneur Voices” being published in May 2018. In addition to readings, Green Card Voices also has videos of each interview on their website and a traveling exhibition. Currently, the exhibition is on display at Lutheran Social Services of North Dakota in Fargo. The reading was also part of Welcoming Fargo-Moorhead, a weeklong event that plans events to welcome immigrants and refugees in Fargo, Moorhead and West Fargo. In total, there are 24 events in this year’s Welcoming F-M, and 500 events nationally. 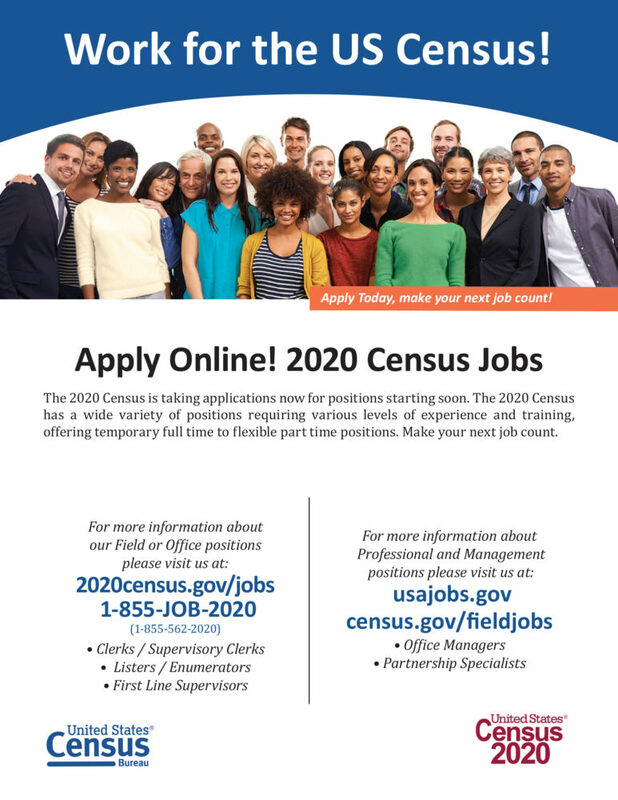 For more information on Green Card Voices, visit their website at www.greencardvoices.com. The book is available for purchase at the NDSU Bookstore and at Barnes & Noble in Fargo, in addition to online at the Green Card Voices website and on Amazon. To learn more about Welcoming F-M, including upcoming events, visit their website at www.welcomingfm.org.